The Day After the Loss and BCA Upgrades · Let's Go Amerks! 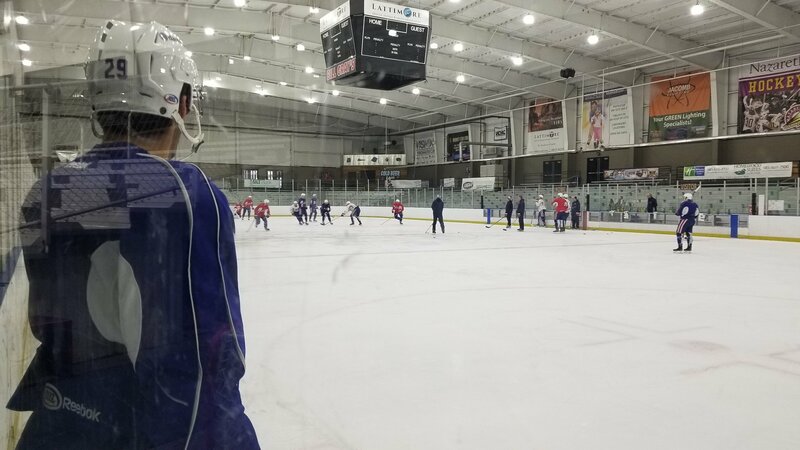 The day after the worst loss of the season for the Amerks the team hit the ice and went through a grueling almost 90 minute practice. That may sound like nothing but in an age of 45 minute practices when less is considered more it was unusual, especially the day after a game. They worked in a lot of full ice drills battling for the puck, something they didn’t do much of it in the game last night. There were losses by a wider margin of goals but in terms of effort this one is right up there (or down there?). 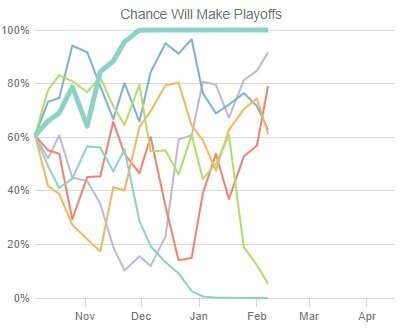 The team has 2 wins in the last 10 games and even though the playoffs are an almost guarantee it’ll be a quick exit at this pace. Read more about the game here if you missed it..
Good news today was that Brendan Guhle, Barry Goers and Colin Blackwell are skating on their own again. They went through a hard skate which means they’re closer to a return. Goalie Jonas Johansson and defenseman Devante Stephens went back to the Cincinnati Cyclones today. That means that Andrew MacWilliam and Linus Ullmark are ready to return to action. Read more on our Injury Report. The Sabres announced that Jake McCabe will be out 3-4 weeks after surgery on his thumb which means we won’t be seeing Casey Nelson back anytime soon. Looking at the four divisions the North Division is the only one that’s basically locked up for the top four teams. 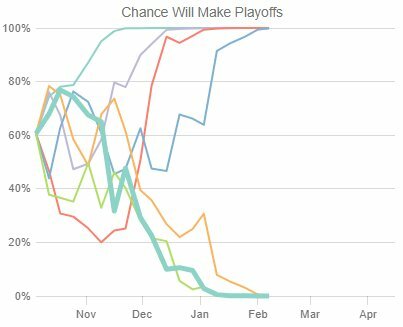 It’d take a major meltdown at this time of the season for Toronto, Rochester, Syracuse or Utica to not make it. It’s interesting looking at the charts and other divisions seeing how much up in the air they are. North.. The first line to get to 100% was Toronto followed by Rochester, Syracuse and Utica has reached the point of a guaranteed spot. The bottom of the division wtih Laval, Belleville and Binghamton are all at the bottom. 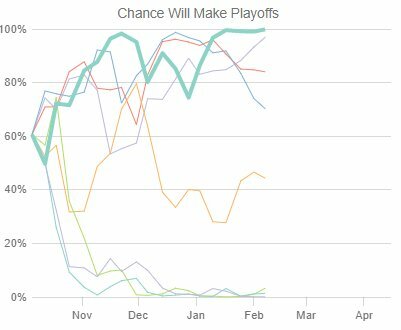 Central.. the Manitoba Moose have the division locked up and have been a top team and keep on rolling. Chicago and Grand Rapids are the other two teams making a rise to the top. Atlantic.. Wilkes-Barre/Scranton Penguins have hit the top of the division and sitting there. Lehigh Valley is the next team that’s risen up. Pacific.. the West is up in the air for anyone. Tucson is the team leading the way but it’s up for grabs. Those stats are from Sports Club Stats which has been accurate for years. This has been a topic that has fallen off of the radar for many but is back in the news today after Governor Andrew Cuomo visited Rochester to pledge $50 million for the Roc the Riverway program. Silence. Nothing happened. Well, a giant sign was installed in the front of the building. That’s it. So, what about those previous studies that were done? What about the money that was already awarded? We’re trying to find answers and if we do we’ll provide them. Yes, there’s a lot more to stats and performance than this old stat but it’s a start. The top 5 on the Amerks roster is interesting since three of them have been out of the lineup. Casey Nelson +11, hasn’t played here in 8 games due to being called up. Garret Ross +7, hasn’t played in 5 games due to injury. Andrew MacWilliam is a +5, hasn’t played in 15 games due to injury. A sign that the team is missing some players. 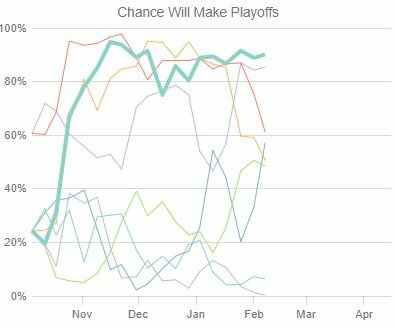 The recent skid goes beyond just those three but it’s a piece of the puzzle. There’s a lot of other scoring droughts going on that aren’t helping as well. The team is back on the ice for practice Friday morning before leaving for a road trip to Lehigh Valley and Hershey over the weekend. Follow us on Twitter @LetsGoAmerks for the latest news, updates and dicussions every day!